Also, my son still clings to his childhood and wants marshmallows on top so I do a small marshmallow topping with the praline topping. 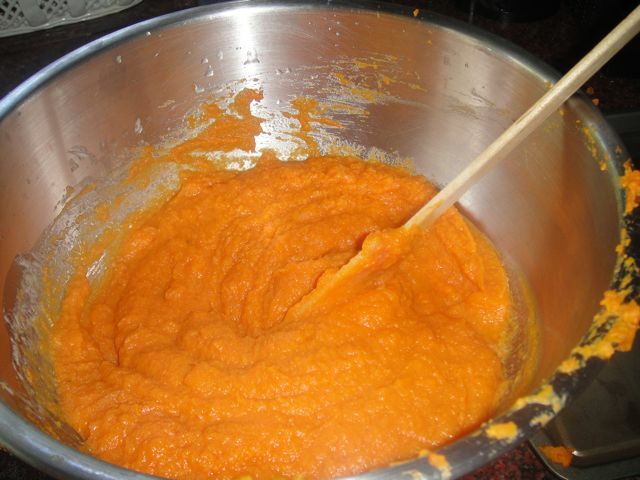 4 pounds cooked and peeled sweet potatoes or yams – Pierce yams with fork and cook at 400 until soft. 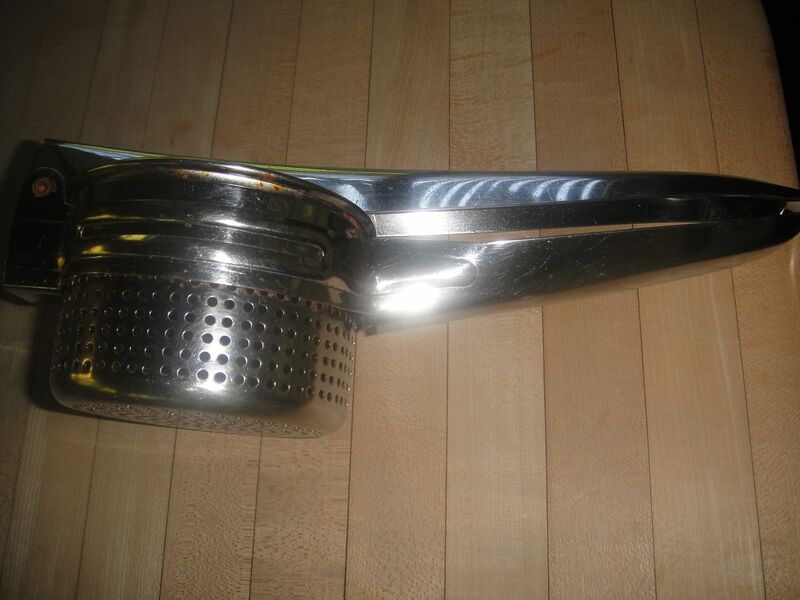 Spoon pulp into the potato press and press into a mixing bowl. Butter a 2-quart casserole (7 by 11 inches). 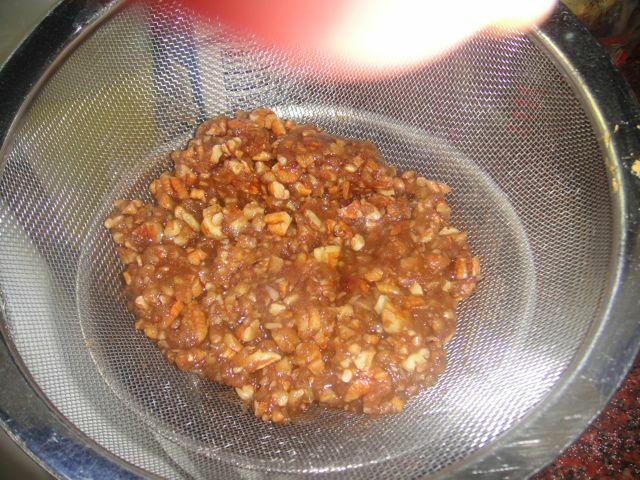 Pour in potato mixture, smoothing top evenly. 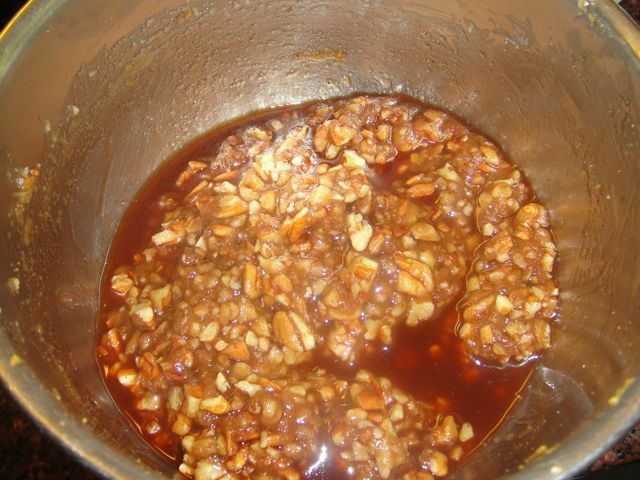 Make praline topping by mixing all ingredients together in small bowl. I find there is too much liquid so I strain topping. 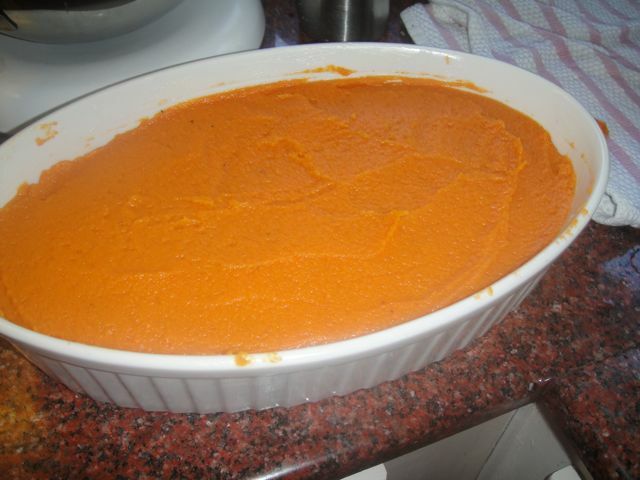 Spread evenly over potatoes. 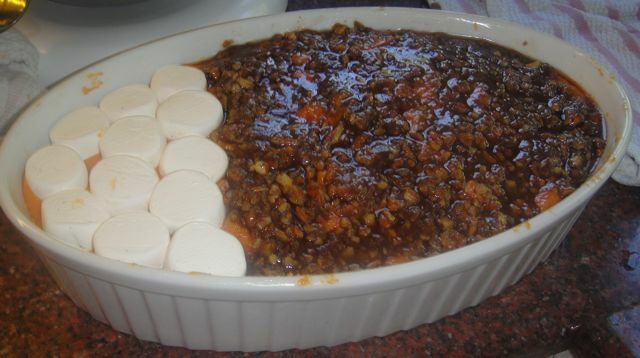 If you have a marshmallow lover, don’t use all the praline topping and use a little marsmallows on one end. May be refrigerated covered overnight. Above picture is unbaked. Bake at 350 for 45 to 50 minutes or until golden brown and bubbly. 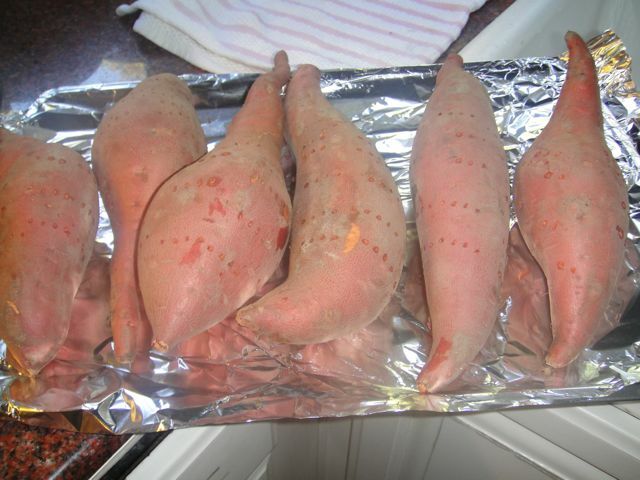 Remove from the oven and let stand 10 minutes before serving.